Archaeological excavation is a destructive practise. That is why archaeologists have to meticulously document every step of their work. The traditional way of doing so is by pen and paper. But digital technology is finding its way to the trench edge: 3D recording is now used to document excavations, producing interactive, highly detailed and dimensionally stable 3D models ideal for research purposes. However, there has been a major problem regarding 3D recording: the amount of time required. For the archaeologists from the University of Aarhus, Denmark, it has taken up to 12 hours to transmit 3D data from the excavation site to computers processing the data, and delivering the finished 3D model back to them for validation on site. Most excavations are done in connection with construction of roads or buildings, and there is a limited amount of time available. So the archaeologists have to hurry, before the site is given over to other purposes. That is why archaeologists from the University of Aarhus have teamed up with experts from the DeIC (Danish e-Infrastructure Cooperation) national centre for high performance computing, located at and run by the University of Southern Denmark. The team of archaeologists and programmers used the national Abacus 2.0 HPC facility to bring processing time down dramatically, from 12 hours to 15 minutes, using high speed connections and supercomputing power to bring data from the trench edge and back again. 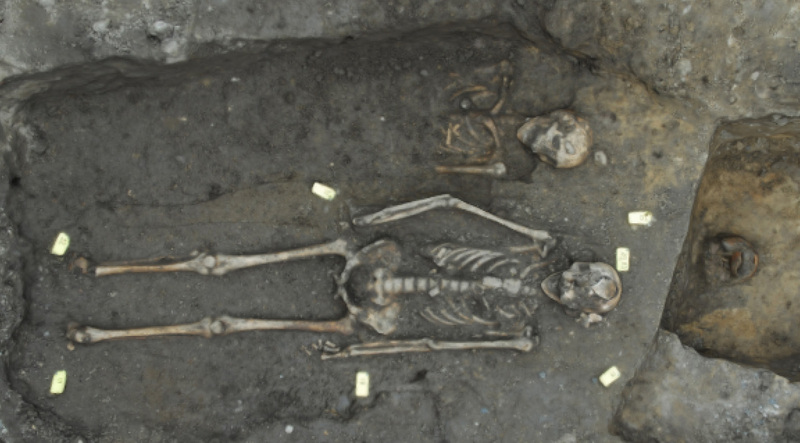 This experiment, carried out at an excavation of Iron Age settlements just north of Aarhus, is just one of many examples of digital technologies being increasingly used in archaeological science. With high speed e-infrastructure being e key ingredient for it to happen. Advanced digital technologies are strengthening every level of archaeological science: from analysing aerial pictures delivered by satellites or drones over highly detailed 3D models of singular sites or artefacts to microscope level, enabling e.g. automatic pollen analysis. In this video an archaeologists from the University of Aarhus takes us on a journey back in time to the excavation of the huge place of sacrifice for fallen warriors, Alken Enge. We are introduced to how excavation takes place in the digital age, when a large excavating team cooperates on gathering and processing data.